The Drops of Youth Bouncy Sleeping Mask is my H-o-l-y-g-r-a-i-l! You can read my brainwork here. I never gave much thought to including serums into my daily skincare routine. I’m a minimalist and do away with a moisturizer, 9 of 10 times. Still, I am not a fan of layering skincare, anymore. I do battle dry patches and dehydrated flaky skin occasionally and adding serum into my skincare routine before makeup has helped. 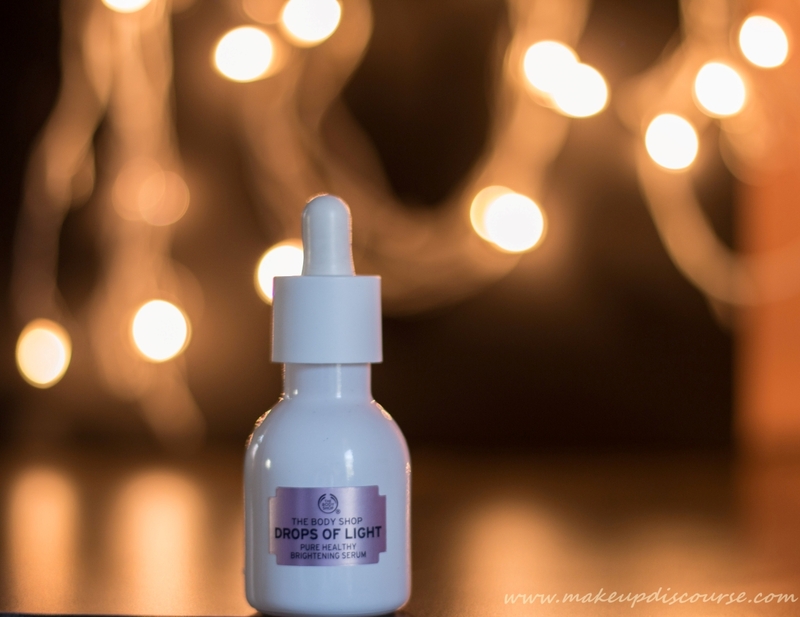 Here is an in-depth experience of using DOL Pure Healthy Brightening serum with Clarifying Foam wash and Brightening Day cream. Brightening Serums usually focus on evening out the skintone as well as lightening hyperpigmentation. These are formulated with Light Reflectors which adds instant radiance on application. Kojic Acid, Vitamin C or Arbutin tops the ingredient lists which reduces spots and mildly exfoliates. This serum gels well with Silicone based foundations as well as tinted moisturizers. But this serum (with primer on top) works best with powder foundations on my normal-combination skin. This or some ingredient in this does not let the mineral foundation cling to the dry patches or accentuate flakiness. I tried mixing this serum with Chanel Vita Lumeire and it did not mix at all. I wanted to turn my foundation in serum foundation. Utter FAIL! 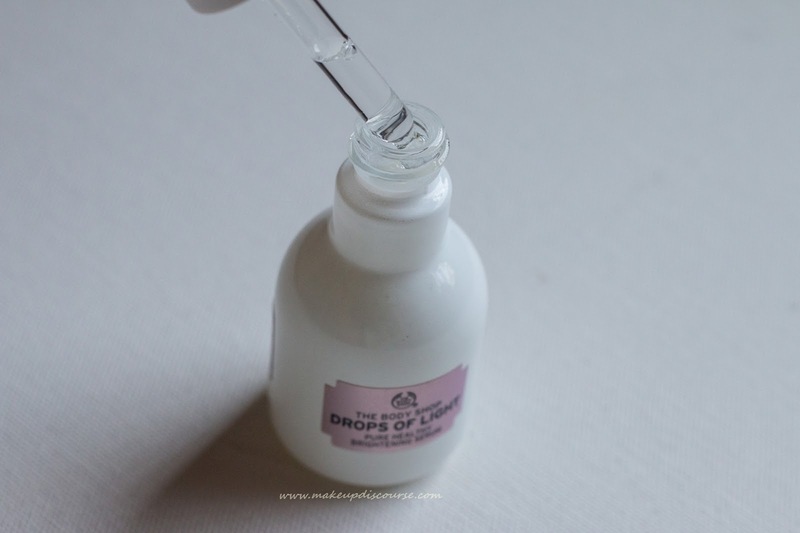 This serum works best upon layering rather than mixing. Is it just me? 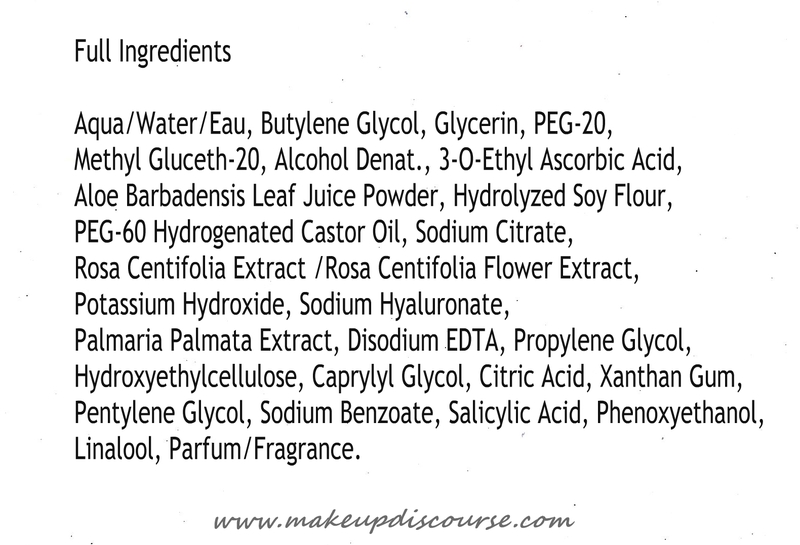 Or I thought I could create serum foundation on my own? 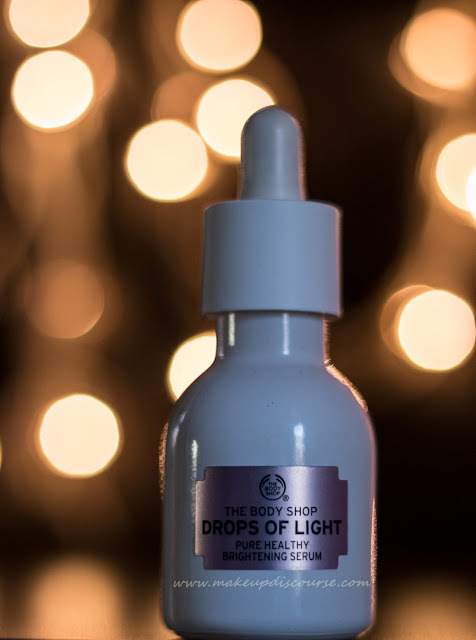 I use this serum exclusively during daytime and avoid using it in my evening/night time routine. It adds a subtle radiant glow to my face when used alone. And it is said already, I cannot afford to skip this under makeup. I am starting to include all the products I use along with the Skincare products to lay down a brief idea of what goes well with the focused product. I did not like using the Brightening Day cream from the same range with Face cleanser and Serum. The day cream with the serum is too heavy for my liking. So I either layered Clean and Clear oil balancing moisturizer or The Body Shop Vitamin C moisturizer, both of these moisturizers worked well. Clean and Clear mattified my skin while Vitamin C added a million watts glow, good enough to go bare face. The other products that complemented this serum are Bioderma Matte fluid and Nivea Aftershave both which I used as a primers. When I bought this, all I was anticipating was-clear and even skin. And that is what it delivers. This does exfoliates, extremely mild because when I use this I feel less need to exfoliate. Apart from adding a radiant subtle glow on application, evening out skin tone and complementing well with my base makeup, this additionally boosts the skin's hydration levels. Major love for that! So did it work on my blemishes and scarring? No. But on the brighter side, if wearing alone under moisturizer, the scars and blemishes do appear diffused, due to light reflectors maybe? Will I repurchase? YES. Perhaps,my only restraint is Alcohol Denat, though it did initially broke me out. But I do see DOL with a potential to be my holygrail serum. Sounds like a good product but do you think it will work for oily combination skin?